Instrumental rock/metal bands that I listen to typically fall into two different camps. There's either technically awe-inspiring bands, such as Animals as Leaders, or emotionally enrapturing bands in the vein of Explosions in the Sky. Rarely do you hear bands that fit comfortably in that in-between area. But Moscow's Aesthesys is here to do exactly that with their second full-length album, Achromata. Birthed originally as a one-man project of Nik Koniwzski in 2007, the project has since evolved into a full band. With their latest endeavor, heavy guitars, violins, and keyboards all coalesce into an experience that evokes an airy introspection but also has a tangible grit under its surface. 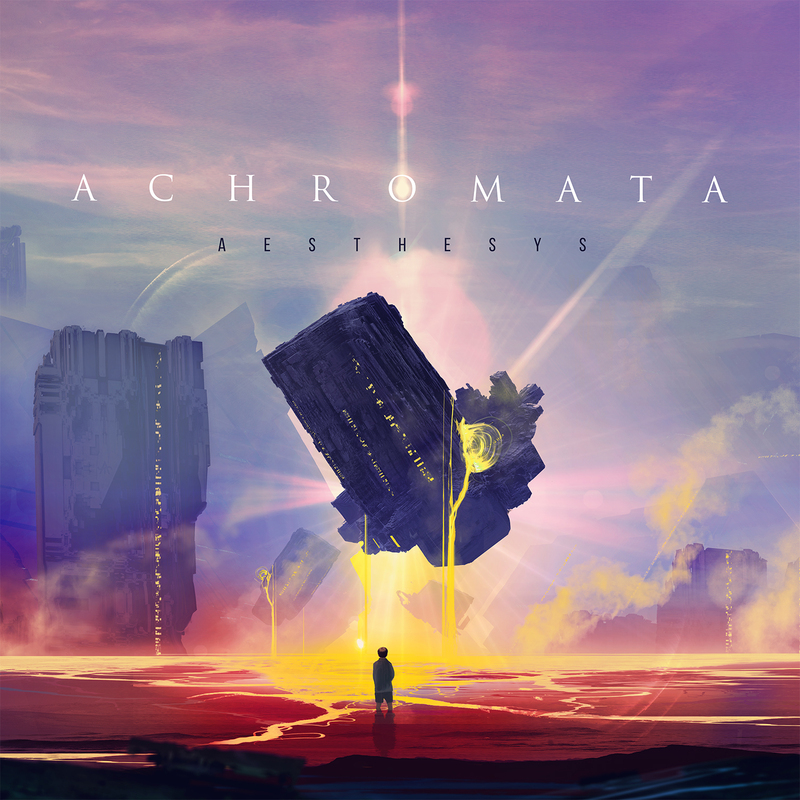 Filled with lush soundscapes, Achromata's journey is nothing short of enchanting. What's especially fun about Achromata is that there is a story that was crafted to give the album more of a discernible theme. To keep it short, the story follows a boy who, in a world of darkness, seeks adventure to eventually discover and bring unknown colors into this fantasy world. That premise revels itself to be an excellent accompaniment to the music. While keeping the track-to-track flow engaging, each track manages to slowly unfurl into a lavish fusion of sound that feels more than appropriate for surmising the sensation of seeing color for the first time. Album opener "Grauer World" and personal favorite "Melanocardia" provide much of the album's heaviness. Deep, echoing drum beats pound and roll with a fervor whose intensity is only matched by the combo of guitar distortion and building violins. Achromata's softer sections tend to be very reminiscent of bands like Explosion in the Sky or Mono. Plenty of clean-guitar reverb is utilized, but despite that, the rhythms often hold an agile pace, "Filis Aureis" and "Eosfyllon" being prime examples of this. Aesthesys proves that keeping things simple and concise can yield great things. Keeping things concise by taking the "less is more" approach is one thing, but keeping things concise while balancing multiple elements is, in this case especially, just as impressive. Guitars, violins, keys/synths, and heavy drums all play their part in constructing a listening experience that is as mesmerizing as it is easy to listen to. Achromata isn't an album that you air-guitar to, nor is it one that you wallow in emotion as clean guitars resound for infinity. Rather, it's an album that you can bob your head to while also having it bring some cool uplifting moments, perhaps some much needed color to an otherwise grey day.